Elvis Presley Wedding Chaple Superstition Mt., Apache Junction, AZ, originally uploaded by ixray_u. Had to share this image I found. I'm not sure if this is where Elvis got married, but it's a beautiful spot for someone. My Elvis fan club was a major sponsor in preserving this building after it's original location was damaged by fire. 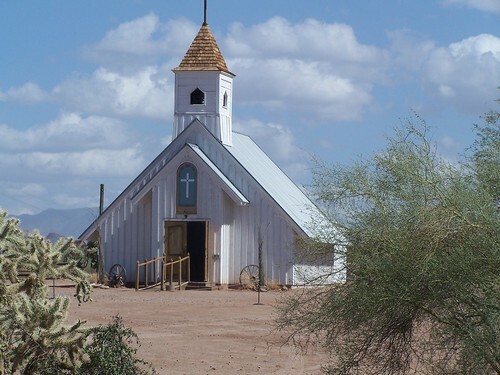 www.SanTanWeddings.com offers wedding packages at this Chapel. See our website!